Innovative ideas are being sought to increase the UK’s resilience, awareness and capability in Space, ensuring the UK remains at the forefront of the latest developments and opportunities in the Defence and Security sectors. The space environment is becoming increasingly congested and contested. 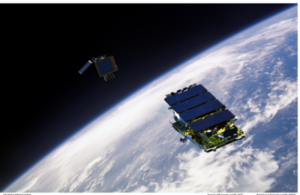 Satellites are becoming smaller and are being launched more frequently creating many challenges. However, this advancement in Space knowledge and technology also presents us with opportunities to stay one step ahead. Reaching out to innovators across the globe, the Defence and Security Accelerator (DASA) is launching phase 1 of the ‘Space to innovate’ competition. At least £2.25 million will be available to fund technological ideas that have the potential to drive innovation in UK space. The space domain is pivotal to defence and security operations, providing critical services such as intelligence, surveillance and reconnaissance, precision navigation and timing, and communications. We also need to ensure that Defence has the capabilities to protect and defend its Space assets and interests in the future. With such a huge range of expertise needed, we are consciously reaching out to innovators who have not traditionally worked in the Space domain or indeed in Defence and Security. We believe that by bringing together the latest thinking from academia, SMEs and sole innovators, we can exploit the full potential of space. Overcoming the technical issues of ‘Space to Sea Level’ optical communications. More details on these challenge areas can be found in the competition summary.